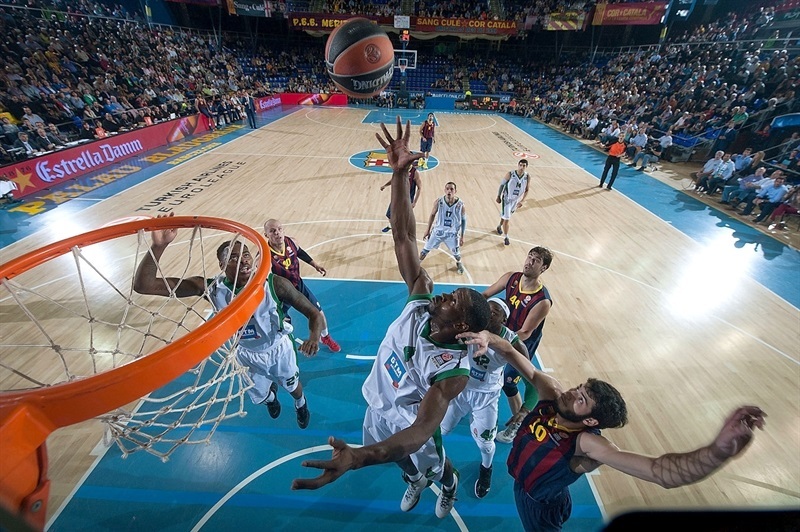 JSF Nanterre made history by rallying to edge FC Barcelona 67-71 in Group A on the road on Thursday. The victory was the French champ’s first in its debut season in the Turkish Airlines Euroleague. 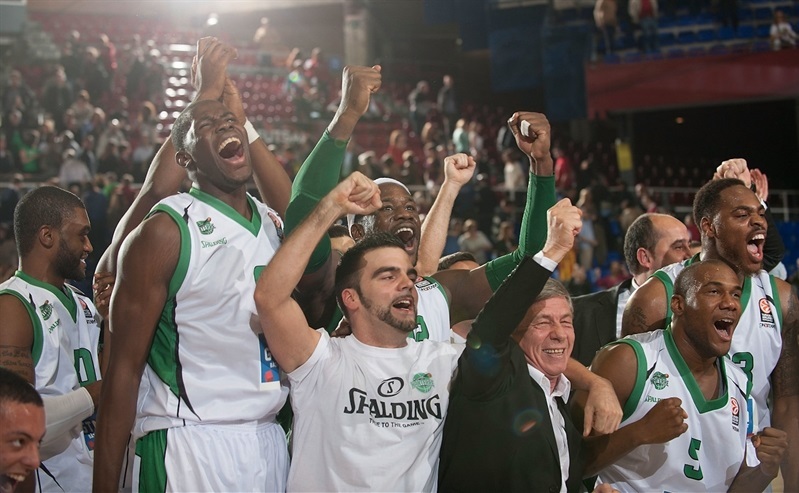 Nanterre became the first French team to win in Palau Blaugrana in more than 17 years - the last French squad to win in Barcelona was Asvel Basket, 78-81, on October 16, 1996. 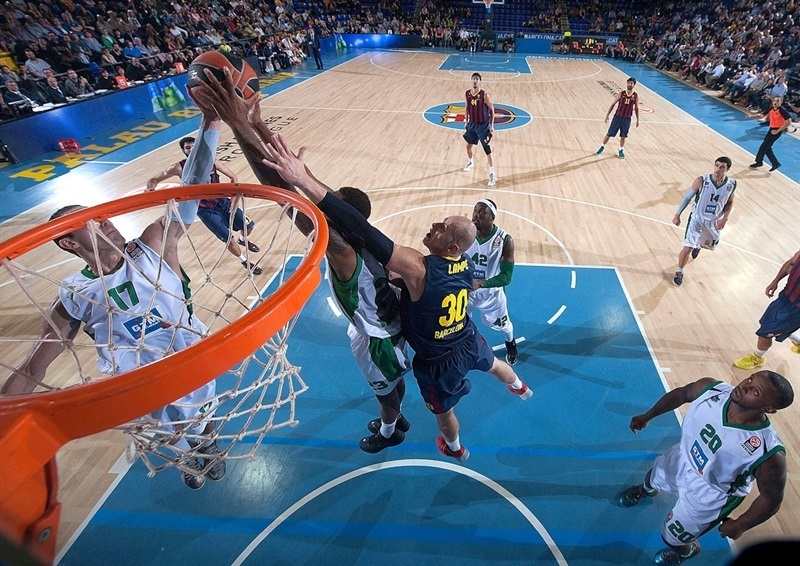 Nanterre is now tied with Barcelona at 1-2 in the group. DeShaun Thomas paced the winners with 14 points. Sergii Gladyr added 12, Will Daniels scored 11 and Trent Meacham 10 for Nanterre. 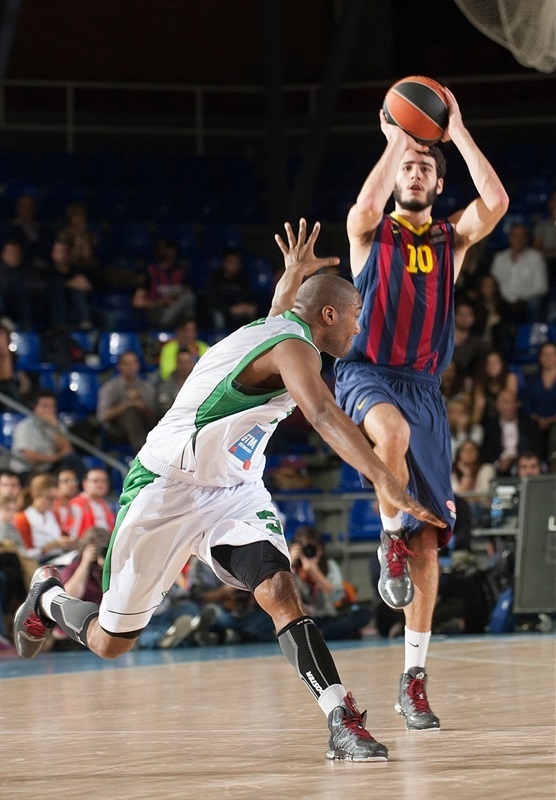 Alex Abrines scored 15 points for Barcelona, while Maciej Lampe added 11. A layup by Ali Traore gave Nanterre a lead, 11-12, midway through the first quarter. Kostas Papanikolaou and Joey Dorsey fueled a 14-0 run that put the hosts ahead for the better part of the game, 22-12. A dunk by Abrines soon made it a 12-point game, but Thomas and an outstanding Gladyr brought Nanterre back to life and a layup by Meacham fixed the halftime score at 39-37. 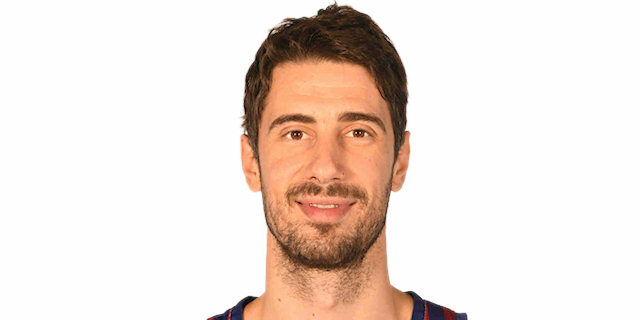 Barcelona improved its defense after the break found a go-to guy in Abrines, who allowed his team to get a 60-48 lead late in the third quarter. Gladyr, Thomas and Meacham fueled a 3-17 run that put Nanterre back ahead, 63-65, with over four minutes left. It all came down to the final 28.8 seconds, when free throws by Victor Sada tied it at 67-67. Je'Kel Foster took over with the game-winning layup and Juan Carlos Navarro missed from downtown at the buzzer. 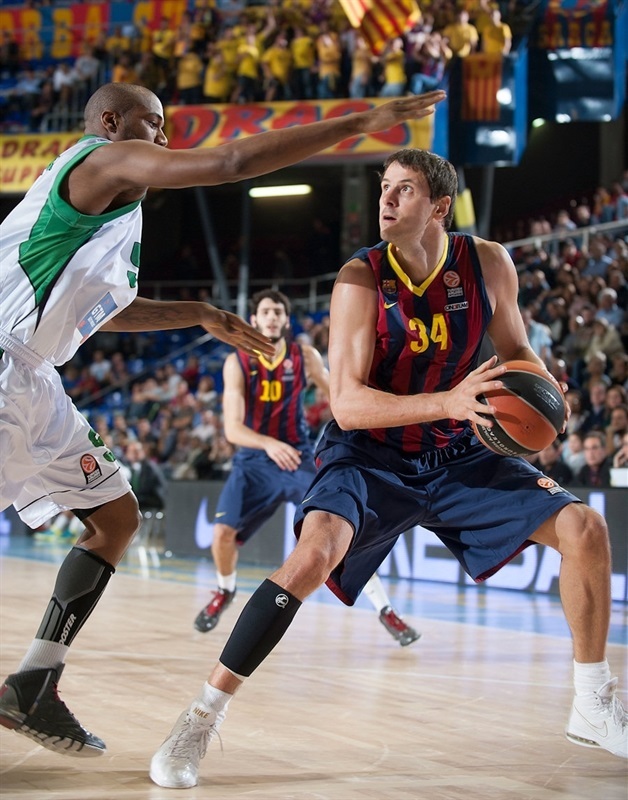 Lampe got Barcelona going with a three-pointer, but a runner by Meacham brought Nanterre within 3-2. Ante Tomic banked in a close shot and free throws by Navarro boosted the hosts' lead to 7-2. Daniels stepped up with a driving layup that Lampe erased with a jump hook. Meacham scored in penetration and a wild reverse layup by Daniels brought Nanterre as close as 9-8. Gladyr capped a 0-6 with a one-handed jumper in transition, good for a 9-10 Nanterre lead. Lampe and Ali Traore exchanged baskets and a free throw by Joey Dorsey tied it at 12-12. Marcelinho Huertas sank foul shots and a coast-to-coast layup by Kostas Papanikolaou gave the hosts some fresh air, 16-12. Abrines hit a six-meter shot, Dorsey made free throws and found Papanikolaou for an easy basket for a double-digit Barcelona lead. Abrines struck from downtown to cap a 14-0 run. Thomas kept Nanterre within 25-15 after 10 minutes. 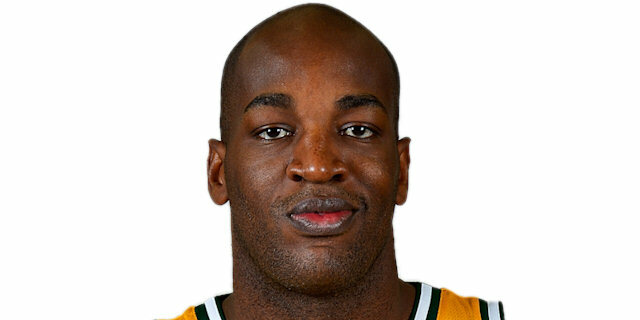 Thomas kept pacing Nanterre and hit an off-balance basket early in the second quarter. Bostjan Nachbar made free throws and Abrines dunked off a steal to boost the hosts' lead to 29-17. Thomas buried a catch-and-shoot triple from the top of the key and Traore scored around the basket to give Nanterre some hope at 29-22. 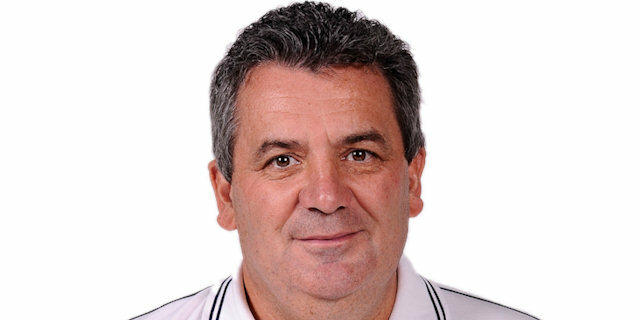 Barcelona struggled to score and head coach Xavi Pascual brought Navarro and Tomic back on court. Sada shined with a follow-up layup and Tomic hit a jump hook for a 33-22 score. Traore hit foul shots and an off-balance triple by Gladyr made it a 6-point game. Dorsey stepped up with a put-back layup that Daniels matched with a baseline jumper. Gladyr struck again from downtown, forcing Barcelona to call timeout at 35-32. Lampe hit a long two-pointer and a floating layup by Huertas extended the hosts' lead to 39-32. A running three-pointer by Foster and a layup by Meacham brought Nanterre within 39-37 at halftime. Huertas nailed a three-pointer off the dribble right after the break. Nanterre could not find the way to the basket and a power layup by Lampe gave the hosts a 44-37 margin. Daniels rescued Nanterre with a bomb from downtown and matched Huertas's floater with a put-back layup to make it 46-42. Abrines stepped up with a three-pointer, as Barcelona brought Sada back on court forbetter on-the-ball defense on Meacham. Nanterre could not find the way to the basket and a wild reverse layup by Papanikolaou made it a 9-point game. 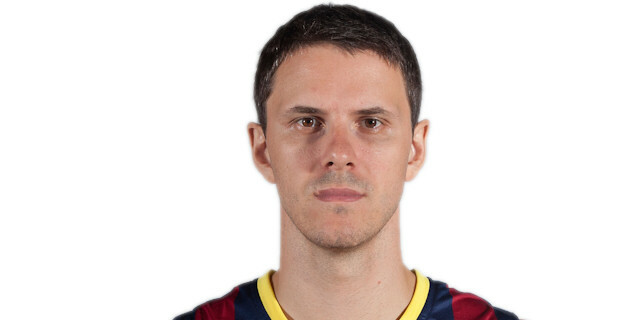 Gladyr and Tomic exchanged baskets and free throws by Nachbar boosted Barcelona's lead back to double digits, 55-44. Jo Passave-Ducteil made free throws and Meacham hit a floating jumper, but Abrines bettered that with back-to-back three-pointers, one from each corner. Jeremy Nzeulie joined the three-point shootout to fix the score at 60-51. Fourth quarter: Nanterre pulls off the upset! Barcelona tried to spread the floor with Abrines and Navarro together on court, as the game turned into a physical battle. Passave-Ducteil hit free throws and the hosts picked up back-to-back 24-second violations, forcing Barcelona to call a much-needed timeout. Thomas split free throws and added a driving layup to make it a 4-point game with six minutes to go. Papanikolaou split free throws and added a basket, but a red-hot Thomas struck from downtown to make it 63-59. Nzeulie scored around the basket and a dunk by Gladyr tied the game at 63-63. Meachan shined with a driving layup that completed the guests' comeback, 63-65. 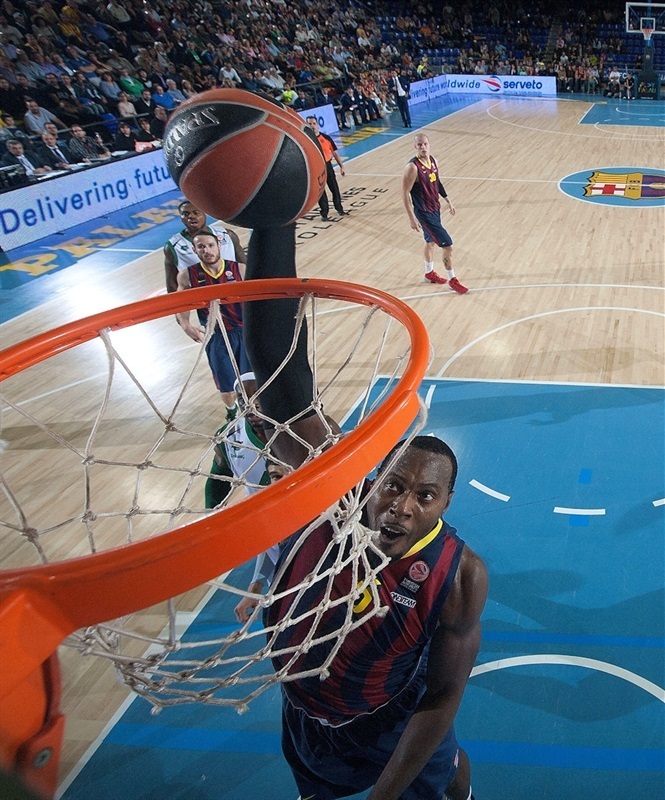 Tomic rescued Barcelona with a close basket. Free throws by Nzeulie put Navarro back ahead, 65-67, in the next-to-last minute. Navarro and Lampe missed respective shots, but Nanterre sent Sada to the foul line with 28.8 seconds left. He made both attempts for a 67-67 tie. Nanterre called timeout and Foster scored the go-ahead driving layup with 7 seconds remaining. 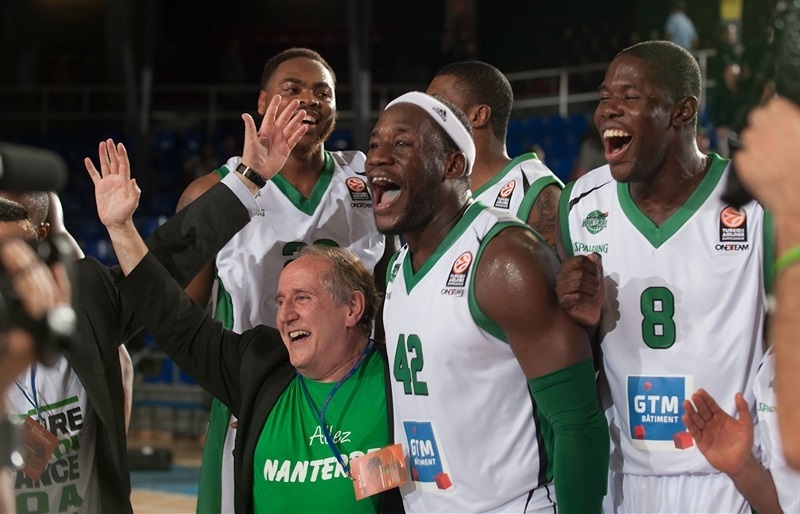 Navarro missed from downtown at the buzzer, allowing the many Nanterre fans in the arena to celebrate a historic win! "We got the lead, but lost most of our margin in the final minutes of the second quarter. Until that moment, everything could be considered as normal. We played very well in the third quarter, but lost our personality in the fourth quarter. We lost our references, made 3 of 7 free throw attempts and only scored 7 points, which is unacceptable for a team like ours. We started to feel the pressure and that led us to bad decisions. If you lose your personality and your character on the court, this can happen. It is a very painful night for us. We were blocked when the pressure was on, with turnovers in key moments, fast break chances lost in the final pass. It is always the same - the small team grows and feels it can win and the big one loses its personality and feels the pressure. We were not able to change the sign of the game and hope it is just an accident. “We can do better and I hope it will be like that in the future. This is a tough, demanding group and every loss comes with a penalty. A home loss hurts, but we still have many games to play. Nanterre did not surprise me today. I saw them play against CSKA and they had many open shots that did not go in, which cost them the win. It also happened to us today - we missed a lot of open shots. Nanterre hurt us a lot in the '4' position but I am the least surprised about their performance because I saw them a lot. 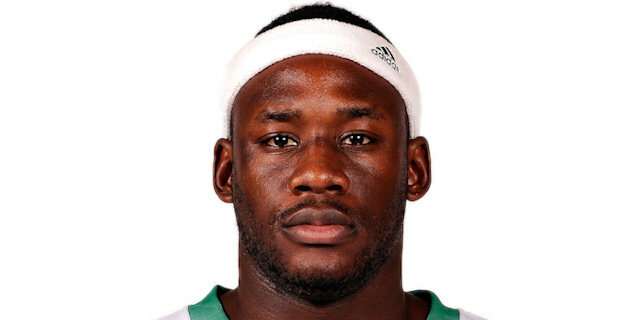 I am surprised about our fourth quarter, but knew that Nanterre would play at a very good level." "This is a really historic win for us. We didn't expect it at all, but gave all we had to win the game. It has been unbelievable and we must treasure this win together. We didn't play bad against CSKA and had a complicated game against Partizan, but did all we could, and a small team like Nanterre has been able to beat Barcelona on the road. "We tried to stay in the game throughout the first half and reach the break with a stable deficit. We did what we could in the third quarter and our defense allowed us to win the game in the fourth quarter. We found answers on offense, but it is defense that allowed us to make the difference and win. "There is always room for surprises and we proved that by winning tonight. We were surprised when we won the French League and also when we saw we had chances to beat CSKA. This is also a very pleasant surprise. We lost by 30 points last week, but today we proved that everything is possible. This win legitimates us in the Euroleague and makes us feel very happy. Some people in France thought that Nanterre shouldn't be one of the French teams in the Euroleague. This win gives us legitimacy and pride." "We played terrible in the second and fourth quarters, especially on defense. Honestly, I don’t know how to explain that. It happened to us few times this season already. We need to get better focus, and play little more together on defense. They scored lots of easy points today, and we can’t allow that." "I think our collective focus went down. We had a little lead, and once we got it we did not react right. 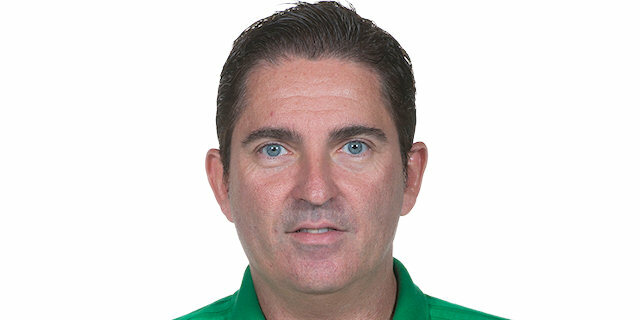 The loss is mental, to many easy mistakes offensively and defensively. We cannot allow that in Euroleague, we did tonight, and it cost us a win. It is not the end of the world, but it is definitely a wake-up call for us. I am sure this is a huge win for Nanterre, but it's also a huge loss for us. It puts us in position we cannot allow any more home losses." "This is a great win. We wish to be in this type of moments. Barcelona is a team everybody wants to play, they are supposed to beat us, and this win is like a dream. During the game we tried to fight, and believed we can win. This is good for our club, for the city, and for the French people. No one believed in us, last year we won French title and nobody believed in us. And now we are playing Euroleague, and we beat Barcelona." "This is unbelievable. Unbelievable. When they were up, we did not give up. We fought until the end, we believed we can win. This is probably the best win in my career, I have never beaten Barcelona in my career, and now I beat them with Nanterre. Life is unbelievable. 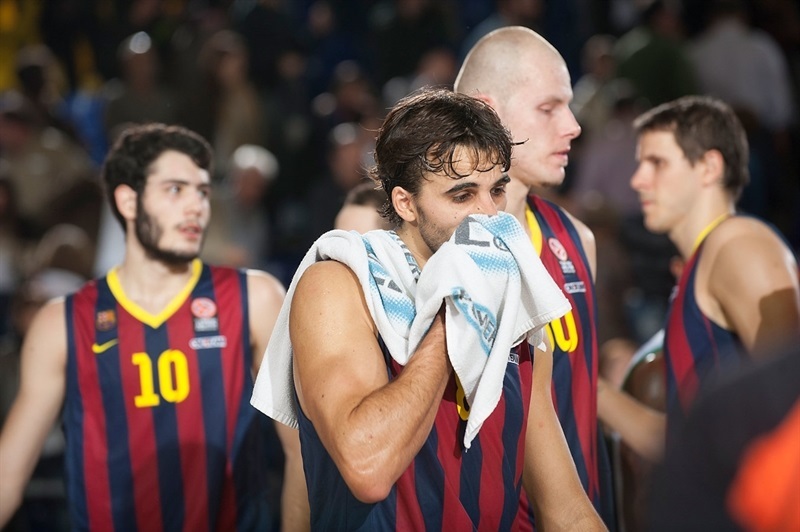 This is the first win for our club ever in Euroleague, and we got it in Barcelona. You cannot dream any better than that. Our group of guys maybe is not the one with the best talent, but it has an unbelievable heart."